Congratulations! 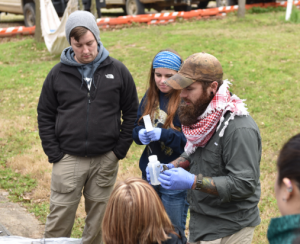 Biology Ph.D. student Tim Colston (right), a member of Dr. Brice Noonan’s laboratory group, has been awarded a Doctoral Dissertation Improvement Grant from the National Science Foundation. Tim will continue his studies of vertebrate community structure and whether bacterial communities living inside vertebrates might influence how new vertebrate species evolve. 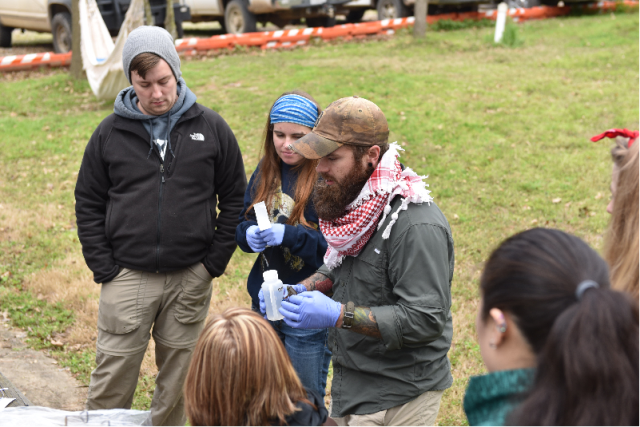 Tim will employ a novel approach to investigating these questions by exploring the evolutionary histories of both the bacteria found in the gut of reptiles and the evolutionary history of the reptile hosts. By utilizing cutting the edge technologies like next generation sequencing this project will allow Tim to understand the extent to which bacterial communities living inside vertebrates are structured by the ecology of the host (e.g. what the host eats, where they live) or the evolutionary histories of the host (e.g. how they are related to other species).